CSOs Engagement with the Minister of Mines and Steel, our take home. Concerned bodies that seek to bring a total change to the face of the Mining Industry and Civil Society Organisations brought the Ministries of Mines and Steel Development and Environment together on the 13th day of February, 2017 at Rockview Hotel, Wuse I I, Abuja to factor out ways to efficaciously partner and bring about the desired sectoral reform that has hitherto rented the economic fabric that the Nation is adorned with – from the Mining sector. He started his speech with a brief overview of the Ministry’s efforts in boosting the sector towards the agenda of diversifying revenue accruals to the Federal Government. Dr. Fayemi highlighted some few challenges barricading the growth of the sector among which Insufficient Funding, Lack of Geological Data, Weak Institutional Capacity, Limited Supporting Infrastructure, Limited Cooperative Federalism, Low Productivity, Illegal Mining and Community Challenges, Weak Ease of doing business and Perception issues, Protracted Litigations on Legacy Assets were mentioned. “We sought for N30bn intervention fund from the Federal Government, partly to help provide cheap loans and grants to industry participants as well as for directly investing in foundation infrastructure… we got approval got activation and securing access to the revolving Mining Sector component of the Natural Resources Development Fund”. He made it known at the event that the Ministry is working with Nigerian Sovereign Investment Authority, The Nigerian Stock Exchange and others to assemble a $600m investment fund for the sector. A large dose of relief as the Minister revealed that the Ministry has secured support from the World Bank for the funding of the Mineral Sector Support Fund for Economic Diversification (MSSED or MinDiver) program which is to provide technical assistance for the restructuring and operationalisation of Solid Minerals Development fund. Dr. Fayemi said the Ministry is working out modalities to engage world-class exploration companies to collaborate with her data generating agencies towards providing bankable data to attract big players in the Mining sector. This is in a bid to bridge the gap of unavailability of Geological Data. Priority Minerals as iron ore, coal, bitumen, limestone, lead/zinc, gold and barite have been identified as key for Nigeria’s domestic industrialization and infrastructural requirements. Served Market – Nigeria will initially focus on the domestic market, trading ore and processed materials to domestic buyers at a quality level comparable to imported materials to win market share from imports. As global commodity market recover, Nigeria will then seek to serve both domestic and export market. Nigeria will also seek to exploit its mineral assets in such a way as to preserve and extend the life of its holdings for future generations and manage earnings carefully. Restructuring and reorganization of the MSMD for more efficient operations, and enforcement of established laws and regulations governing the mining sector. Commencement of process of working with National and State legislatures and governments to address gaps, and resolve conflicts in mineral resource legislation. Development of a strategy to use priority minerals domestically and substitute exports. The Heads of CSOs present were more than ready to give their all towards achieving a meaningful success in the Sector. CSOs could help improve the knowledge assets and awareness of stakeholders including the Civic public about the Mining sector. CSOs should critique the plans and programmes of government to ensure best value for Nigeria and Nigerians in the short to long run. CSOs should help Monitor Mining operations to ensure that investors or operators maintain Fidelity to their community development agreement. Especially, monitor corporate social responsibility impacts of mining operators. 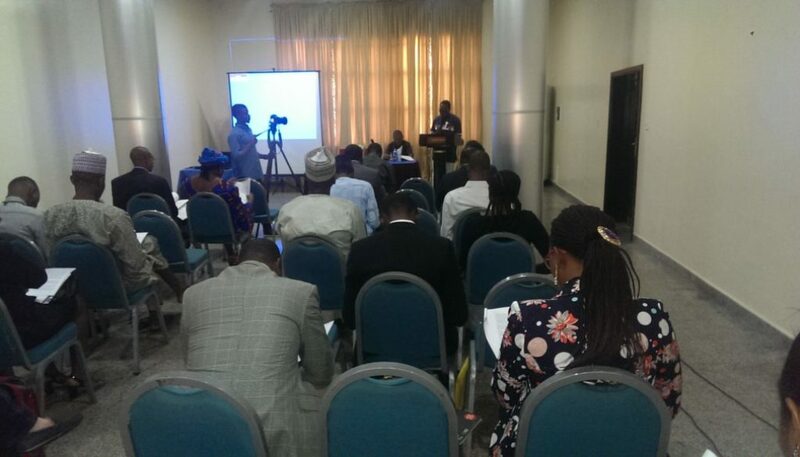 CSOs should help support the promotion and realisation of the NEITI principles and programmesAmong others. CSOs should help should assist in the coordination, organisation and management of ASM cooperatives. CSOs can also help to empower community representatives to assess and flag mining operations, which may undermine the health and safety of their communities. The Honourable Minister fielded questions from participants of this Engagement and gave insightful responses where required, some of the few questions raised was from the CEO of Connected Development, Mr Hamzat Lawal, he asked the Honourable Minister if it was possible to get the names of the companies that have been licensed to Mine. He asked further that Datas of ecological funds that have been given to states should be made public so information would be available to work with. The Co-Founder of Follow The Money rounded off by asking the Honorable Minster his Ministry’s plan for Safer Mining Process putting into consideration what happened in Shikira. The Minister also responded to a question raised by a participant asking what the Ministry is doing in terms of technological monitoring of extraction sites. He said provisions are underway for that as proper investigation will be done in that regard. In conclusion, he appealed for perseverance as right measures are taken and implementation of the sustainable reforms that would outlive his tenure are entrenched. He said “I invite you to join us as we continue on this road to rebuilding this sector, unlocking it’s full potential, and making it one of the key sources of our future prosperity”.